VIC: Jordan Constan signs for Fitzroy! The transfer window is now officially open with all new signings available to play in round eleven come next Friday. Some deals have already been struck with the likes of Ben Monteleone, Josh Allen and Steve Castvan all moving on from their current clubs. The next player on the move is Brunswick Futsal Club’s Jordan Constan who played a pivotal role in yesterday’s victory over Moreland Futsal Club. Constan has five goals and three assists from seven starts so far this term and will be looking to add some more attacking flare to Fitzroy’s already talented line up. Series Futsal sat down for a chat with Fitzroy head coach and Jordan himself on why the move was made. Series Futsal ~ What do you think Jordan can bring to the club? 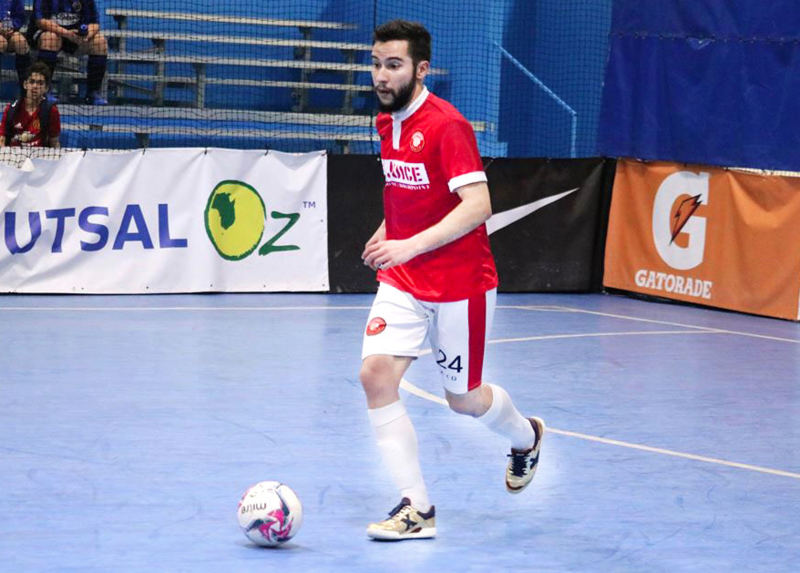 Michael Chami ~ In the last couple of years Fitzroy has transformed into an attractive club, where we play a solid brand of attractive and exciting Futsal lead on court by Fernando De Moraes, possibly one of the greatest Futsal minds in the country. Jordan requested a transfer to continue his career at Fitzroy and is eager to continue to develop his game. Jordan brings a positive energy to any team he has been apart of, his ability to score long range goals and defend aggressively along with his hunger to improve his game are the key reasons i moved forward with the signing and welcome JC24 to the Fitzroy family. Series Futsal ~ Why are you making the move from Brunswick and why did you choose Fitzroy? Series Futsal ~ What is your aim for the second half of the season? Stay tuned to Series Futsal for all the transfer news to break.